You said “yes!” and now it’s time to plan your dream wedding day! Once you have the vision for your wedding, chosen a date and a venue, it’s time to share the news with your guests! Creating your invitation suite is the first glimpse into your day that your guests will have. It will set the tone for the style and formality of your day and shares the important info guests will need! 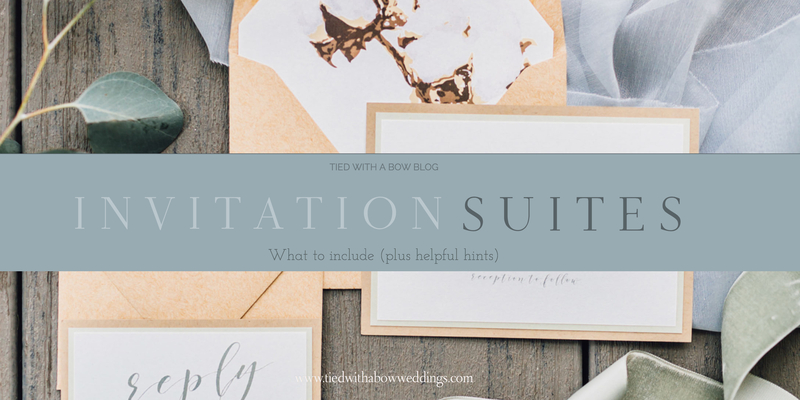 I have created a guide to explain the different elements of the invitation suite to ensure you have every important piece of paper your need! This is the main part of your invitation suite. The invitation or ceremony card provides guests with the who, what, where and when of your wedding day! This allows guests to note their attendance of your day. This is also a great spot for guests to note the number of guests attending, their food selection, note any dietary restrictions, and song preferences. The cutest little envelope for guests to place their RSVP into. Don’t forget to include your return address. It is also considered proper etiquette to include a postage stamp to avoid any hassle for your guests. TIP: Put a small number on your RSVP envelope back and create an excel spreadsheet that has the names of guests beside the right number. That way, if guests don’t write their names on the RSVP card, you still know who it is! 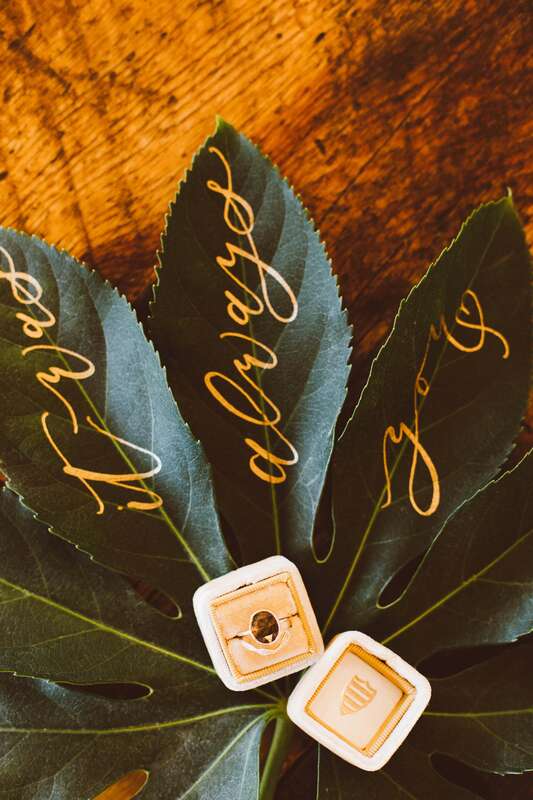 This is a piece that allows you to provide any additional information for your wedding day. This could include reception details, information on accommodations, maps, clothing formality requirements, additional events, or your wedding website. Includes your return address and the guest address. It is always a nice touch to have a calligrapher write the envelopes for you to create a personal touch. Be creative with your invitations and think of them as great introduction and way to build excitement for your day! Remember, you can always ask for help when creating your invitations! 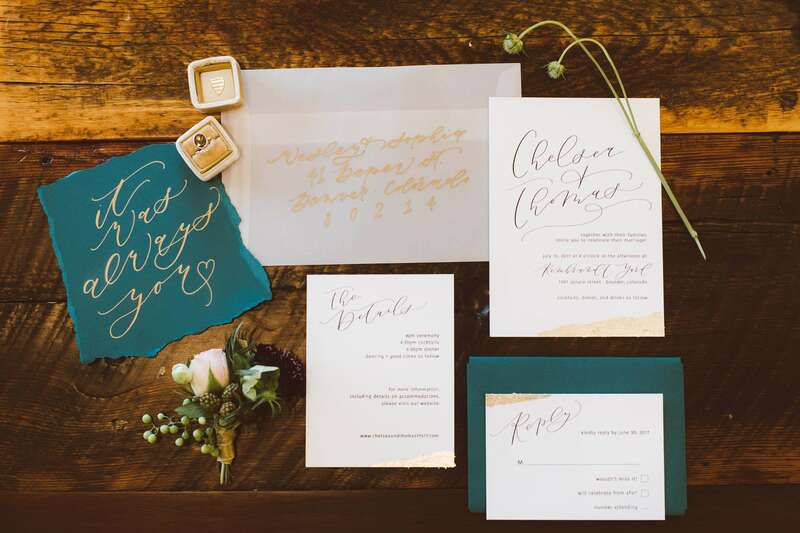 If you don’t want to handle the creation and management of your invitations, we provide Colorado wedding invitation suite management services in our full-service planning package, as well as an a la carte service offering!